Competition in the market place is a wonderful thing. It forces operators to up their game to provide the best possible experience to guests. After all, if someone has a poor day, they might take their money elsewhere next time. 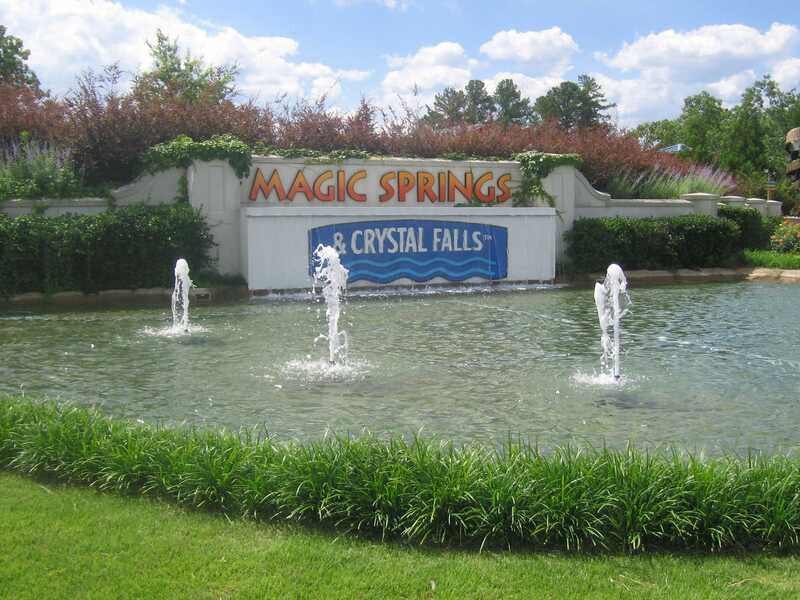 Magic Springs is the only amusement park of any size in Arkansas, and to be frank, it shows. To begin with, the park opens at 10:30 in the morning, but without any rides. Those don't open until thirty minutes later, meaning that guests have plenty of time to explore your shopping outlets before they can enjoy what they have actually come for. To be fair, this fact is shown on a notice board before the paid parking ($7, with no re-entry privileges), but it was nevertheless a poor start. 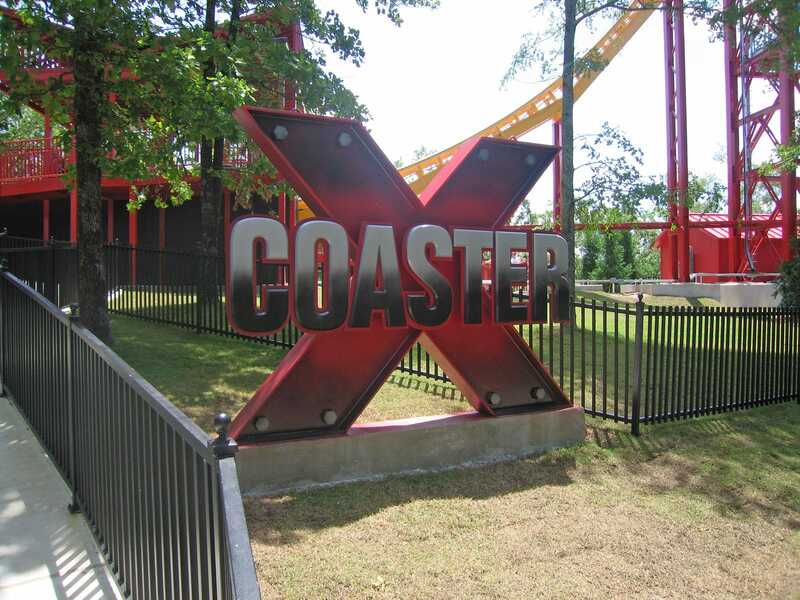 The fun and games continued with shortcuts that were inexplicably fenced off, broken vending machines, hot dogs with no ketchup or mustard, and, when they finally opened, six mediocre coasters run by slow and inefficient staff. The first really major coaster to be installed at the park was Gauntlet (#755), one of those wonderful instruments of torture built by Vekoma in the Netherlands. RCDB reported that this was the first installation to feature redesigned wheel assemblies in the hope of a smoother ride. While work hasn't been a complete failure, in so far as there are many installations out there which are much more violent, the design remains as rerideable as a bicycle with a flat tyre and no suspension being ridden over a mountain path. It is a truly sad state of affairs when the best coaster in a six coaster park is a kiddie ride. Sadness turns to horrified amazement when the ride in question turns out to be built by Miler Coaster, some of whose finer creations have been in my literary crosshairs on more than one occasion this week. Diamond Mine Run (#756) is an example of a small coaster done properly, with a small amount of theming, a little bit of airtime, and crucially, no dumb regulations requiring that adults ride with children on board. Unlike the manufacturer's larger creations, this ride does actually have the ability to turn corners without causing concussion, which works as a major point in its favour. The same could not be said for the Zamperla-built wild mouse, Twist n Shout (#757), which had no recognisable merits whatsoever. Poor rides can sometimes be referred to as useful additions to the park, but there is absolutely no way this brutally rough monstrosity could be considered useful. There were four points on the track where the train jolted to the point of serious pain. Three of these were corners, which is slightly understandable, but the other was as the car engaged the lift hill, something which has been engineered out of designs by other manufacturers. Almost every car of riders we saw had people complaining about how sore they were, which is never a good sign. The mine train coaster, Big Bad John (#758), had two previous homes before being installed at Magic Springs. This fact explains its layout, which is pretty odd. The reason is due to positioning; the ride has been installed on some mountainous terrain, but completely fails to utilise it. The net result is some impressively large support columns where the ride is just crying out for a seventy or eighty foot drop into a ravine. Nevertheless, appearances aside, the coaster wasn't too bad as mine train rides go, albeit it was too dull to ride more than once. This brings me rather neatly to the X Coaster (#759), which is proudly advertised as being the world's tallest inverting ride. The world in question, it appears, only consists of the United States given that the good people at Skyline Park in Germany installed an identical version of this attraction a full year earlier. It was tempting to do a straw poll of guests in the queue to find out how many of them had heard of Germany, but we were substantially outnumbered by loud and annoying Americans, making this inadvisable on safety grounds. American foreign policy aside, however, it needs to be said; this ride just isn't that much fun. The restraint design, a simple lap bar, is great in theory, but in practice it isn't particularly comfortable when the train is moving slowly upside down. Additionally, after the corkscrew element, the ride motion going backwards and forwards feels no different to a pirate ship. There is no doubt that the ride is worth doing once and perhaps twice for novelty value, but the excitement quickly wears off. Worse yet, the lackadaisical attitude of the operations staff meant that trains were going out about once every four minutes at best, and as long as eleven minutes for the worst case. To put this in its proper perspective, for a twelve seater ride, this means a maximum throughput of under two hundred per hour, poor for any major coaster but positively brutal for the brand new signature ride in a park. Computer gremlins meant that it was after three in the afternoon by the time the final coaster, Arkansas Twister (#760) opened up. There isn't a lot of reason to relocate a wooden coaster from one park to another unless the ride is particularly good, and for this reason I had high hopes for it. George had been on board in its previous home in Florida, and was curious if it was as he remembered. The short answer was, unfortunately, no; though the ride itself might have been good, it was spoilt by the shuffling of the cars, which were bouncing backwards and forwards in a very odd fashion, totally unlike the usual sensations from a wooden coaster. After hitting my knees for the fifth time on the front of the car, I gave up and braced myself for the duration.